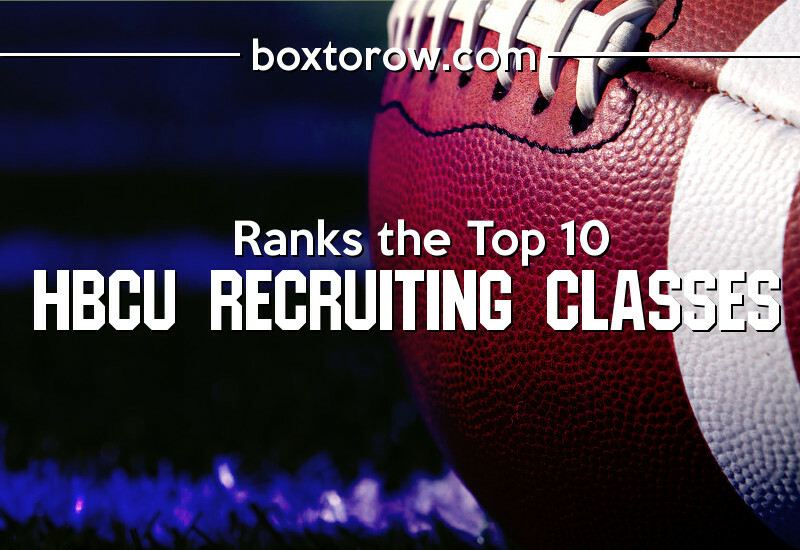 The defending HBCU national champions had an excellent recruiting class. This was head coach Sam Washington’s first full recruiting class. The Aggies signed a pair of three-star North Carolina running backs. Shemar Thompson from Walter M. Williams in Burlington was ranked the 94th running back in the country and the 60th best player in NC and received offers from App. State, Coastal Carolina and ECU. Cameron Hutchinson from Havelock High School was ranked the nation’s 169th best running back and also received offers from App. State, Coastal Carolina, ECU, and ODU. After the Aggies victory over ECU in 2018, the Aggies not only signed a couple of recruits that had offers from the Pirates, but also signed a now former Pirate in quarterback Kingsley Ifedi, a dual threat quarterback who redshirted in 2017 and played sparingly in 2018 and was on the sideline in the Aggies win over ECU. He’s a former three-star quarterback from Vance High School in Charlotte. Also in the mix at quarterback could be Northeast High School (Elizabeth City) product Aaron Harris. Harris had over 3,000 yards of total offense in leading Northeast to the state championship game in his only season as a quarterback. Wide receiver is the deepest position on the team and the Aggies got deeper, signing two-star prospect Prestige Edwards from East Mecklenburg in Charlotte who had an offer from Temple. The Aggies also added some depth on the offensive line signing South Mecklenburg tackle Jason Ivey who had offers from West Virginia and Charlotte. The Aggies made some headway defensively as well, signing three-star defensive end Kyle Stanback from Newbury Park High School in California. At 6-7, 250, Stanback has the type of frame that BOXTOROW Willie Davis Defensive Player of the Year Daryl Johnson had and could push to get playing time as a freshman. Johnson declared for the NFL Draft last month. Stanback had an offer from Arizona State. Inside linebacker Jacob Roberts from Charlotte’s Mallard Creek is a two-star recruit. The Aggies also signed a couple of players that can play on either side of the ball. Herbert Booker from Oak Ridge High School in Tennessee will most likely play in the defensive secondary and recorded nine interceptions and returned four for touchdowns as a senior. Korey Banks is a transfer from South Carolina who switched to defensive back after playing wide receiver where he was a three-star prep performer at Sandy Creek High School in Tyrone, Ga.